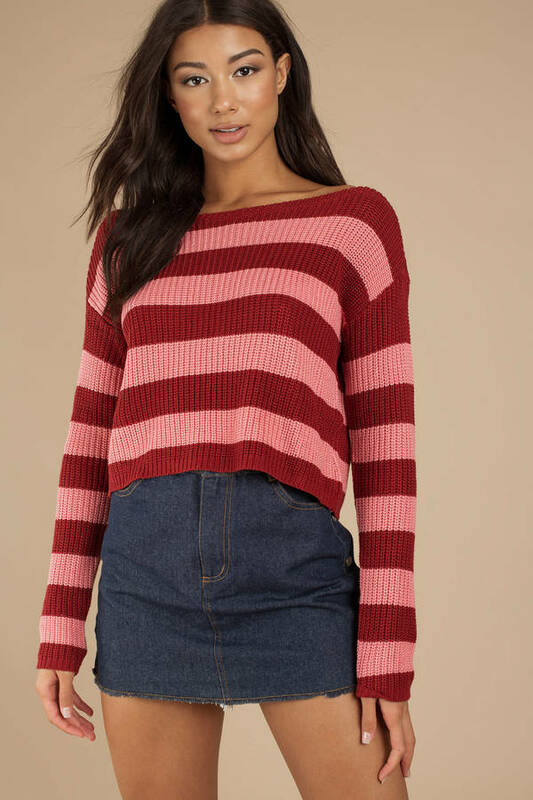 Check out Tobi's Caroline Striped Sweater Fall's for fallin' in love with comfy. 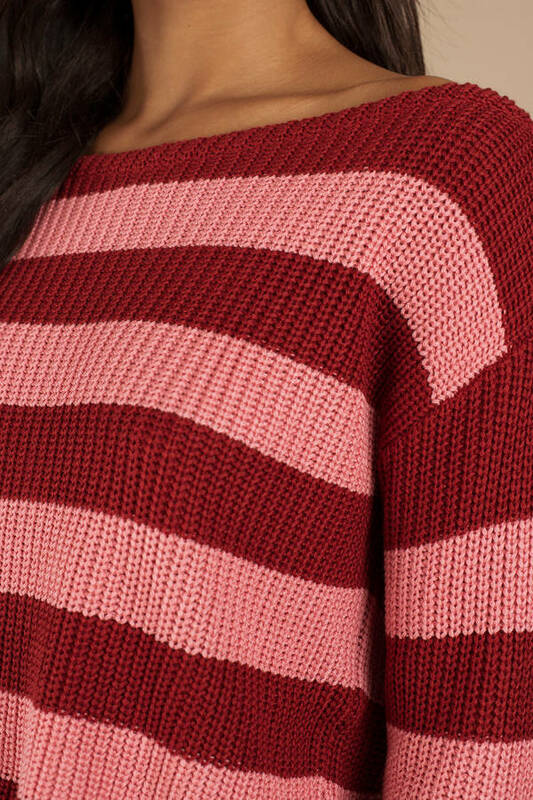 Get the Caroline Wine Striped Sweater. This retro sweater features a boat neckline, long relaxed sleeves, a slouchy fit, and big n' beautiful stripes on a comfy knit. This cropped sweater will look trés chic with high waisted pants. Fall's for fallin' in love with comfy. Get the Caroline Wine Striped Sweater. 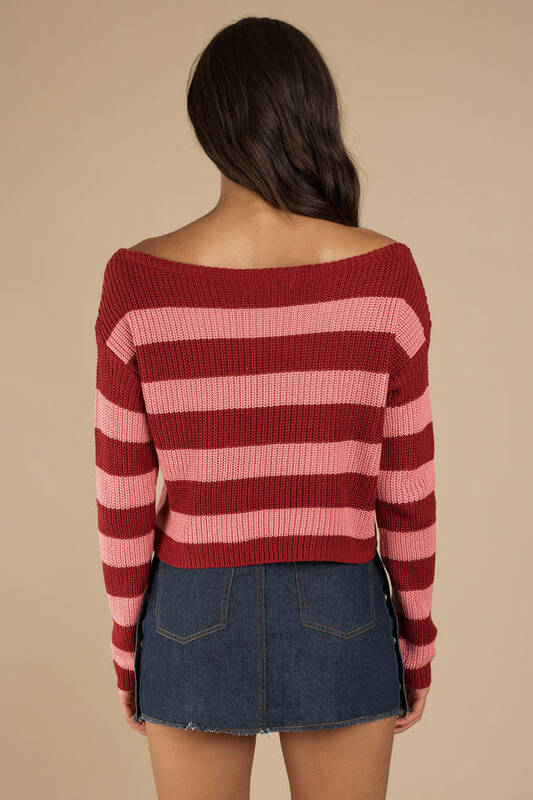 This retro sweater features a boat neckline, long relaxed sleeves, a slouchy fit, and big n' beautiful stripes on a comfy knit. This cropped sweater will look trés chic with high waisted pants.